I can't believe that it's already five years since I wrote the first blog in the I Was A Teenage Toyah Fan series, a series which turned into a book self-published on kindle and paperback. Five years now is very different from five years back then. As a Teenage Toyah Fan five years was the gap between my first Toyah LP The Blue Meaning and the realise of Minx - five long years of adventure many of which are detailed in the book and which at the time seemed to last forever. Whereas this last five years seems to have lasted just a few months in comparison. Plus since writing those first blogs - quite by coincidence - there was a renaissance of Toyah shows when she began touring in earnest once more, resurrecting her earlier material thirty years on... 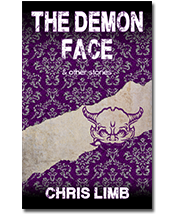 The first of these tours, From Sheep Farming to Anthem, I managed to catch in the epilogue of the book. This tour was the first in a series of annual outings which saw some songs performed for the first time in thirty years and others performed live for the first time ever. 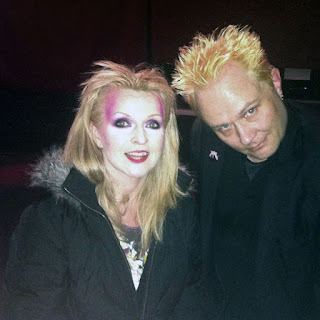 The Changeling Resurrection tour in 2012 was particularly impressive, boasting one of the best Toyah set lists ever. Having recently written about my teenage experiences of gigs I was delighted to discover that these songs still had the power to reach into my brain and fiddle with the graphic equaliser of my soul and were still hard-wired into whatever it is that passes as me. Another adventure took me completely by surprise. You'd have thought that after all this time - from following Toyah around in the era of the book, to running the fan club in the decade following it, to recording the single Killing Made Easy with her in the afterglow of the new millennium - you'd have thought that there was nothing left that could surprise me, no further ambitions in this direction that would have blown my teenage self's mind. I've played bass in bands since 1998 - a late starter but what the hell. From pop-punk band Chester which introduced me to the enjoyment of playing gigs (as I discovered the only thing more exciting that watching a gig was playing one) to the Bonzo Dog tribute band The Gonzo Dog-Do Bar band which allowed me to share a stage with some surprising and exciting guest stars. By 2011 things were slowing down on that front and I was beginning to wonder whether the time had come to hang up my plectrum. I had reckoned without fate flinging Das Fluff in my path. I was introduced to the band by long-time friend (and one of the co-stars of I Was A Teenage Toyah Fan) Bob. He recommended that I come to see this band he'd discovered which he reckoned would be exactly my kind of music. He was right. Electronic, alternative and edgy with fierce, dramatic female vocals, Das Fluff were very much the kind of music I liked to listen to and I was delighted that even at this stage in my life there were new bands to discover and that New Favourite Band Syndrome was still active in my brain. Once the Syndrome had kicked off then I started making an effort to go to their gigs both in London and Brighton. In 2013 I discovered that they were due to support Toyah in both Brighton and London on the Love is the Law and More tour. This was an exciting coincidence - my New Favourite Band supporting my All Time Favourite Singer - and I looked forward to the gigs immensely. At the Brighton gig The Elusive Stranger and I got talking to Das Fluff singer Dawn and the fact that we played together in Chester came up. One thing led to another and before I knew what was happening I was playing bass for them at Electrowerks the following April - and The Elusive Stranger joining me in the band on percussion in September. This was altogether a very different experience to any I'd had before. These were songs I had gone to gigs to hear and dance to and now here I was playing them. This was the next level in being in a band - the best of both worlds. The experience of all three was fantastic - thankfully I didn't know until after we'd played at the first (Glasgow) gig that Toyah had been watching from the wings as that might have made me even more nervous than I already was - although nerves of that kind were part and parcel of the whole playing live adventure and contributed to the ultimate enjoyment of the experience. The greater the nerves beforehand the more enjoyable the gig itself. After I came off stage I always wanted to go and do it all over again. It was like bungee jumping (I imagine). Further Das Fluff gigs continued thick and fast over the following six months which brings us right up to the present. You would think that the story had no more surprises to spring on me but Das Fluff recently had another Toyah support slot confirmed, this time in London at The Garage in November. Here's to what the next five years brings... I can hardly wait.